Yes, I Want Travel Insurance $189.00 No I DO NOT want Travel Insurance I'm not sure yet. Credit Card Form - just click to download. 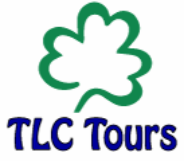 TLC Tours, 142 Winthrop Street, Medway, MA 02053.